Fountains of magma spouted "lava bombs" over 100 feet into the air as the molten rock travelled east-southeast towards the coastal road. PAHOA, Hawaii: Lava flowing from giant rips in the earth on the flank of Hawaii's erupting Kilauea volcano threatened highways on Monday, raising the possibility officials may order thousands more people to evacuate before escape routes are cut off. More lava-belching cracks are expected to open among homes and countryside some 25 miles (40 km) east of Kilauea's smoking summit, possibly blocking one of the last exit routes, Highway 132. Fountains of magma spouted "lava bombs" over 100 feet (30 meters) into the air as the molten rock travelled east-southeast towards the coastal road -- Highway 137, the Hawaiian Volcano Observatory said. If either highway is hit by lava, mass evacuations would be triggered, said Hawaii National Guard spokesman Jeff Hickman. "There's a lot of worst-case scenarios and roads getting blocked is one of them," said Hickman, standing on Highway 137, in the potential path of the lava flow, some two miles (3.2 km) away. Since eruptions began 10 days ago, dozens of homes have been destroyed and officials have ordered the evacuations of nearly 2,000 people in the lower Puna district of the Big Island, home to around 187,000 residents. Two more fissures opened in the last 24 hours, to total 19. 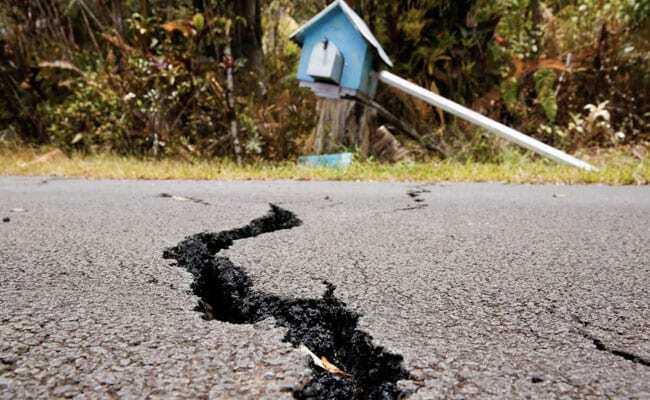 "It's optimistic to think that this is the last fissure we're going to see," said Hawaiian Volcano Observatory Deputy Scientist-In-Charge Scientist Steve Brantley, adding that a similar seismic event in 1955 lasted 88 days. Unnerved by near constant small earthquakes and emissions of toxic sulphur dioxide gas, Rob Guzman and his husband Bob Kirk left their home in Kalapana Seaview Estates while they still could. "We just need the local government to calm down the panic that some of these 2,000 people are feeling, that today, we're going to be trapped with no way out," said Guzman, who left behind a banana farm and rental properties to go stay with friends. Scientists had expected such explosions by the middle of this month as Kilauea's lava lake fell below the water table. 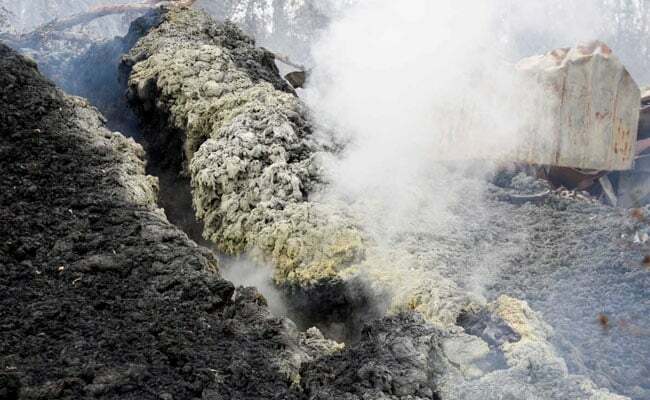 The possibility exists, however, that water may not be entering the crater, as feared, and gas and steam may be safely venting, scientists said. "So far those explosions have not occurred, and I think the key here is that the vent system is an open one, therefore pressure is not being built or developed down at the top of the lava column," Brantley told a conference call.